The video directed by Donald Glover (aka Childish Gambino), Ivan Dixon and Greg Sharp, the dreamy clip finds Gambino walking through the neighborhood and encountering a barrage of hip-hop stars, including Michelle Obama, Kanye West, Drake, Will Smith, Travis Scott, Nicki Minaj, and many more. 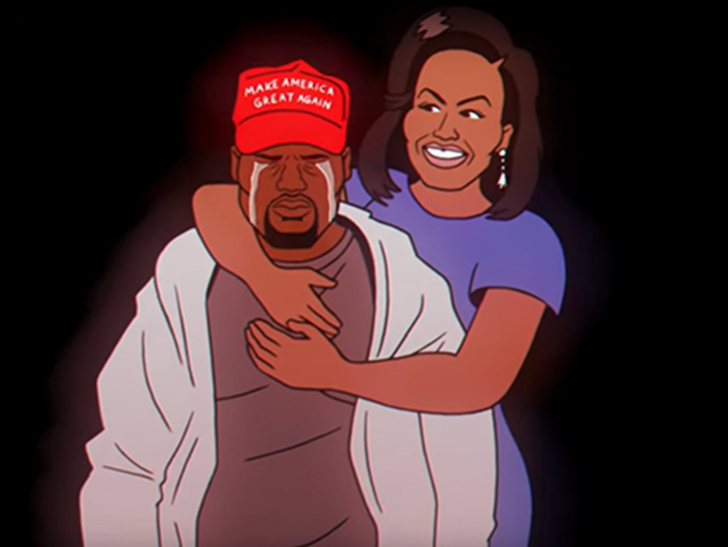 One of the most interesting moments of the video is when we see a crying Kanye wearing a MAGA hat and Michelle Obama comes and give him a hug. I am a fan of Childish Gambino he makes interesting artistic videos. I think one of the best if not best video of 2018 was, “This is America” by Gambino.